According to Lexus, there are currently over 780,000 RX models on the road, and we can assure you that they are being driven by some very happy customers. In fact, Lexus is relying on their glow of ownership bliss to win them over with the newest generation of the RX. The compact luxury SUV was the first of its kind, with Lexus practically inventing a new segment with its creation. Now for 2010, it has had a complete overhaul to match the growing competition and satisfy current fans and owners. The biggest changes begin in the longer and wider exterior design, continue through to a more sophisticated and modern interior cabin and culminate with modifications to the suspension, all-wheel drive system and transmission. Of course, Lexus wouldn't be Lexus if it hadn't thrown in the most advanced technology available, including side and rearview camera systems, satellite traffic and weather and a brand new way to scroll through the car's many infotainment functions. The RX 350 may not be breaking any rules to accomplish all this – it remains steadfastly uninspired in every way – but sometimes the most important characteristic of a vehicle is simply its ability to get you where you need to be. Now, that's an original idea. The all-wheel drive system excels at keeping the RX more balanced than when power is running through just two wheels. Its exterior design looks much more streamlined than the previous model generation and fits well within the Lexus aesthetic. Because the new double-wishbone suspension doesn't have a need for rear struts, trunk space is now five percent larger. Overzealous traction control kicks in at every available moment. Great for safety, not so good if you want to have a little fun. Body roll is particularly bad, and the wind noise – something that shouldn't even be an issue in a Lexus – cannot be ignored. While the engine can feel slightly raspy when pushing it hard, the V-6 does the trick around town and will surprise with its ability to deftly climb hills as well. The new six-speed automatic transmission – the only gearbox available – improves greatly upon the previous generation’s and shifts through gears more fluidly. Steering remains slushier than its competitors though it is adequate if your commute tends to feature four-way stops instead of hairpin turns. What will disappoint is the cabin noise, a quality that doesn't match the luxury of the interior. Wind freely whistles through window joints and can drown out conversation at freeway speeds. Perfectly bolstered seats hold occupants comfortably – even with the body of the front-wheel drive model rolling around corners. The more grounded all-wheel drive RX escapes that unfortunate trait using active torque control, which distributes torque between the front and rear wheels when needed. The RX is powered by a very capable 3.5-liter V-6 with 275 horsepower and 257 lb-ft of torque. Output has increased moderately from the 270 hp and 251 lb-ft of torque last generation’s engine delivered. An all-new six-speed transmission comes standard with manual shift mode – though it’s so fussy we'd recommend keeping the shift knob in “Dâ€. 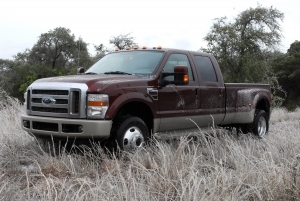 The 350 is available in full-time all-wheel or front-wheel drive. The Remote Touch system, a mouse-like device to control the infotainment system, is the latest attempt to make navigation through deep menus of settings and destination entries more simplified – and it manages it quite well. If one can work a computer mouse, it will take approximately 15 seconds to figure out how to use this controller. It is difficult to use while the car is in motion as the cursor bounces around with every bump in the road, and passengers have to reach around the shift knob with their left hand to use it. One of the most competitive qualities of an SUV nowadays is its mileage. The ULEV-II emissions rated RX 350 won't have a problem wooing buyers with its 18 mpg city and 25 mpg highway numbers. They are only slightly weaker with all-wheel drive in place, at 18 city and 24 highway, and stack up well against a fuel-hungry segment. A completely redesigned center stack has changed the feel of the cabin by focusing the controls toward the driver instead of utilizing a balanced design. The prominently featured audio console feels modern and well oriented, but just below it the simple system falls apart, with the climate controls sacrificing function to accommodate the design. Capitalizing on its already popular design, the RX retains the same general bodylines – though smoothed out and incorporating the “L-finesseâ€ styling of the entire Lexus line. Another plus: the slightly widened and lengthened RX (by 1.6 inches and 1.38 inches respectively) has lost its bubble-like looks in the process. Although pricing hasn't been announced, estimates are that it will be slightly higher than the previous generation ($39,100), but within the class's general guidelines. Major competitors, and worthy cross-shops include the $39,700 BMW X3, $37,335 Lincoln MKX, $40,990 Acura MDX, $47,100 Mercedes-Benz ML350 and $42,150 Infiniti FX35. Drive quality can't best BMW's and the body design isn't as inspired as Infiniti's, yet the RX 350 does many things perfectly. Its small size makes it manageable for running errands, pricing will be on the low end of the spectrum and the latest technology is incorporated unobtrusively in the cabin. 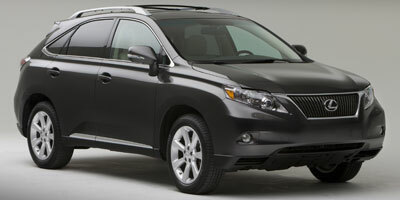 In fact, most of the Lexus RX 350’s qualities are just right. So much so that we can practically hear Goldilocks banging down the dealer’s door.